Fresh details on the upcoming bike from the TVS-BMW partnership have emerged with the BMW CEO Stephan Schaller revealing information on what the powertrain will be. 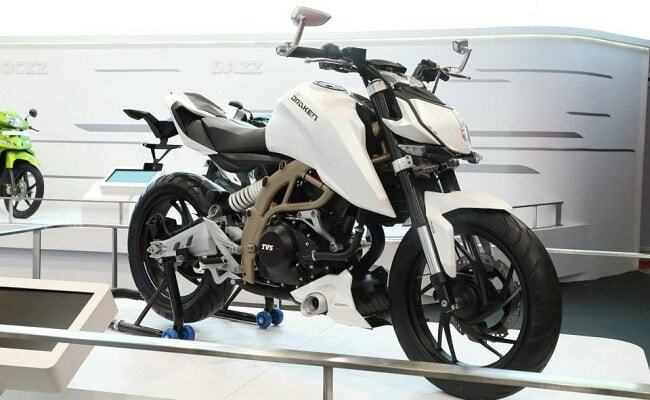 Code named K03, the bike will use a sub-500cc single-cylinder unit and will be completely engineered by BMW. BMW says TVS will provide its skills to produce the bikes with first-class quality at cost effective prices. The bike will be unveiled later this year and BMW confirms a twin-cylinder motor is not on the agenda currently but there is a possibility as the powertrain will be further developed over the next two years. The initial plan is to produce entry-level performance motorcycles in the sub-500cc space. The bike has so far only been seen in some spy shots but there has been no confirmation on the powertrain. The TVS-BMW collaboration was announced in 2013 to develop an all-new platform. Some of the products expected to be unveiled include a street-fighter, super sport and adventure bike in the next few years. BMW CEO Schaller stated that TVS will be learning from the technical knowledge and BMW can benefit globally from the low cost manufacturing expertise of TVS. Schaller says that unlike the financial implications between KTM and Bajaj; BMW Motorrad and TVS do not have any financial inter-dependency and the concentration lies on building new products through mutual cooperation. The TVS-BMW partnership has also made way for the latter's fifth global facility that will be opened in India after Berlin, Thailand, China and Brazil. The products made at the upcoming plant will be carrying the BMW Motorrad badge and will be catering to export markets as well.